A bit of a holding weekend in Korea between last week’s Ttukseom Cup and next week’s KRA Cup Mile, the first leg of the 2012 Korean Triple Crown. However, there’s still plenty to keep us occupied. 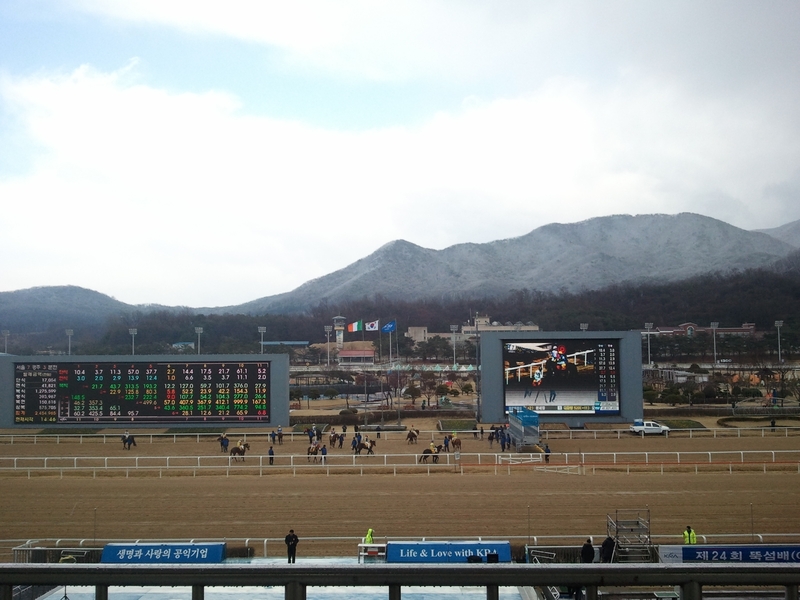 Feature races of the weekend at both Seoul and Busan are on Sunday. Ace Galloper (Chapel Royal), with 16 wins from his 23 starts heads the big race at Seoul. He’s up against last year’s champion mare Top Point (Tom Cruiser) in the 2000 metre event. Down at Busan, Peter Wolsley’s Ghost Whisper (Gotham City), with 5 wins and 3 seconds from his 8 starts to date, makes his class 1 debut in Sunday’s feature. Earlier on Sunday, promising filly Geumdda (Officer) will be aiming to make it 6 wins from 7 starts. The Jeju Spring Two-Year-old sale was held on the southern island last week and it was a colt by Menifee that fetched the highest price of 160 Million won (US$150,000). A total of 44 lots were sold during the two-day sale – 19 less than last year – with 26 of those headed for racing at Seoul and 18 to Busan. The vast majority of those unsold will be raced by their breeding farms. While the total number sold was down, the average sale price was up by almost 13 Million Won to 56 Million won ($50,000). Menifee accounted for 3 of the top 5 most expensive purchases including the top 2; the as yet unnamed colt out of the US bred broodmare Delicias [Deputy Minister – Greyciousness (Miswaki)] who went for the top price and another colt out of Sorority Jazz [Dixieland Band – Miss Charity Ball (Talc)] called Fantastic Jazz who fetched 130 Million Won. Sorority Jazz is the dam of 2008 Korean Derby winner Ebony Storm. The only other Stallion who featured frequently above the median sale price was Forest Camp. His top lot was a colt out of Straight Cash [Straight Man – Mystery Clearance (Mystery Storm)]* who went for 100 Million Won. 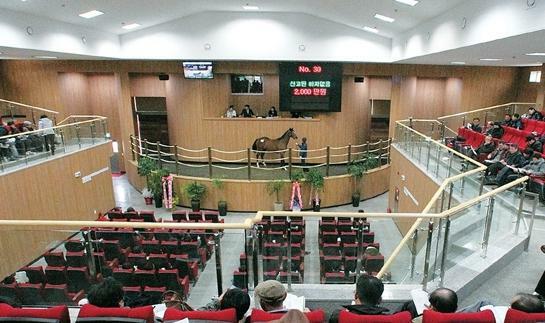 Previous top lots at the Jeju spring sale have gone on to success. Champion Belt (Exploit), the most expensive purchase in 2010 was fourth in the Korean Derby and has two wins to his name, while Dream Tower (Forest Camp), who fetched the most a year ago, will run in the KRA Cup Mile, the first leg of the Korean Triple Crown, at Busan on April 8. * Straight Cash was a $16,000 purchase from OBS April sale in 2005 and went on to become a double-Stakes winner in Korea, taking victory in the 2005 JRA Trophy and the 2006 Segye Ilbo Cup. A reader left a note on this site earlier this year looking for information on her, having found her dam, Mystery Clearance “in bad shape” at a horse rescue in the USA. Mystery Clearance was never a racehorse, just a broodmare and the new owner was told she had only ever been used as a surrogate dam. She was taken out of the Rescue and apparently she is now being ridden. The horse racing world is small. She’d shown great promise as a two-year old but then slumped into mediocrity at three. However, today at Seoul, Royale Embrace (Chapel Royal) finally came good by winning the Ttukseom Cup. Sent off at 17/1, Royale Embrace was taken into an early lead by jockey You Hyun Myung for the seven furlong Stakes event which this year is the first in the three-race “Queens Tour” series for the country’s top fillies and mares. She never let it go. Favourite Kkakjaengi (Put It Back) rallied late on but she was far too far behind to make an impact. Ultimately it was young Gamdonguibada (Werblin) who got the closest although she too, never looked like denying the winner. A $13,000 purchase from the Ocala Spring Sale in 2010, Royale Embrace won four of her five starts at Busan and was talked of as being the an eventual Grand Prix contender. Her progress then stalled and while she ran in four Stakes races last year, her highest finish was seventh. With connections not believing she could stay the distance in longer races, she had been restricted to the ultra-competitive (by virtue of their rarity) high level sprints of less than a mile. Today was one of those but, running at Seoul for the first time, everything went right. 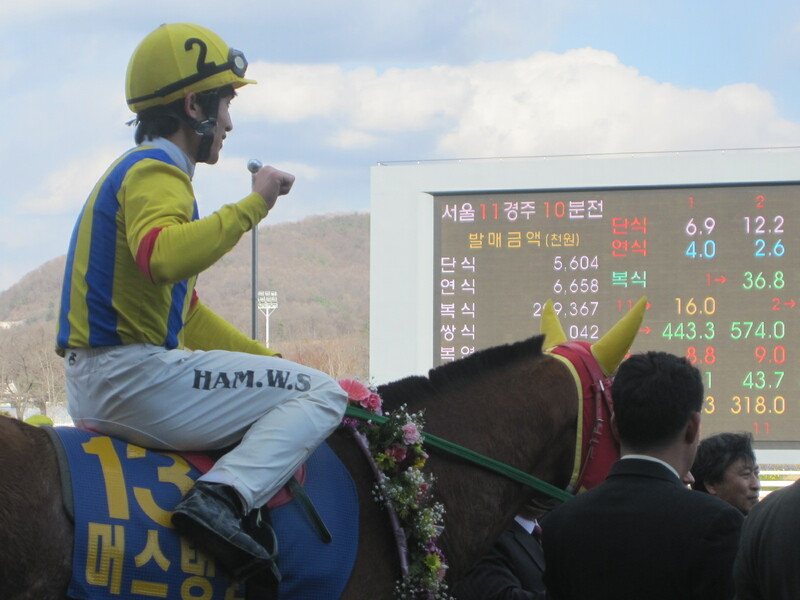 It was no doubt a sweet moment for jockey Yoo Hyun Myung too. 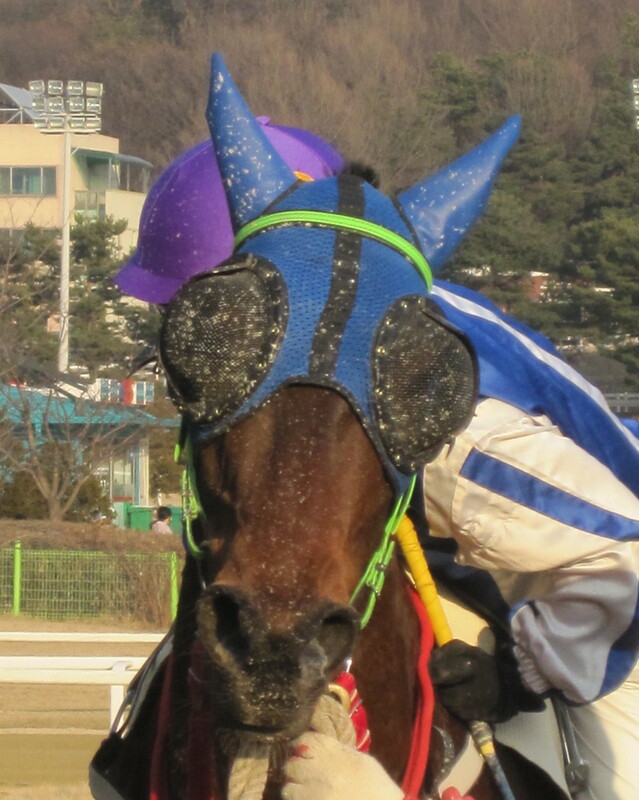 His finest moment as a jockey came at Seoul in December 2010 when he partnered Mister Park to the Grand Prix. He seemed at the top of his game but in racing, you are only ever seconds away from your fortunes being reversed. An injury in early 2011 saw him sidelined for several months and by the time he came back, he found that he had lost his plum rides. Unhappy, he rejected the offer of Mister Park’s trainer, Kim Young Kwan, to ride his second string Dongseo Jeongbeol in the Grand Prix and stayed home in Busan. 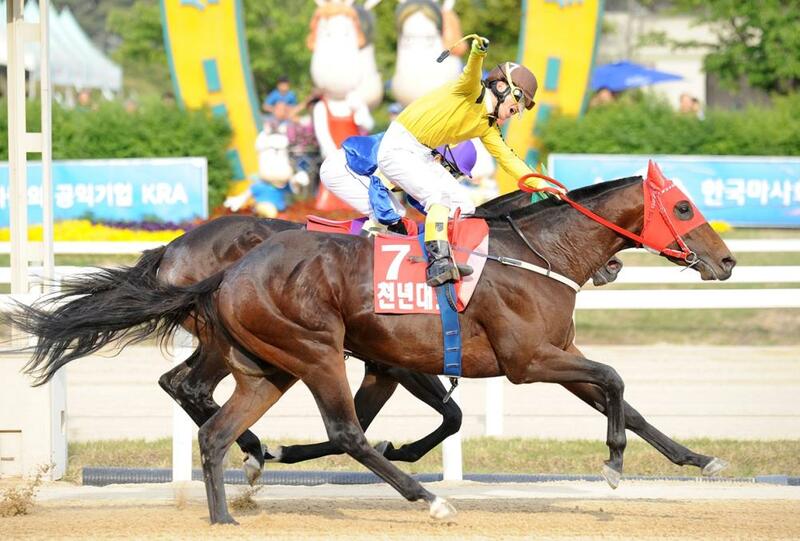 As it turned out, Mister Park lost the Grand Prix and today, while Yoo Hyun Myung was winning at Seoul, the record-breaking five-year old was running at Busan with a first-year apprentice on board. Indeed it made for an odd spectacle as his main – and only – rival, two-time President’s Cup winner Dangdae Bulpae (Biwa Shinseiki) also had a newcomer in the saddle. The reason for this was that both horses are now so high up in the handicap, that connections don’t want to run them unless they can get the weight allowance that is available to an apprentice rider. As it turned out, Mister Park, under Jeong Dong Cheol beat Dangdae Bulpae and Kim Jong Woong by just over a length. Such is their dominance at Busan that the third place horse was a full twenty-six lengths adrift. It was a busy day of racing. Back at Seoul, 28/1 outsider Ruby Queen (Perfect Champion) won the Sports Donga Trophy while at Busan, Japanese jockey Narazaki Kosuke got his first Class 1 winner on Sand Hi (Stormy Atlantic). On a wild weather day in Seoul, Mustang Queen held off all challengers to win the Horse Racing Ireland Trophy. Sent off as the 8/1 fourth favourite in the field of fourteen for the seven furlong Stakes race, Mustang Queen (Concept Win) was quickly towards the front. Taking the lead rounding the home turn, she never looked like giving it up as she ran on for victory by just over a length from favourites Imperial Star and Seungniuihamseong. A four-year old filly, Mustang Queen was sixth in last year’s Korean Oaks at Busan, the only race in her career so far in which she finished out of the money. A class 2 win last month sent her into today’s race in good form and she duly recorded her fifth win from fourteen starts. For jockey Ham Wan Sik, it’s a fourth career Stakes victory and comes just a week after he rode his 400th career winner. 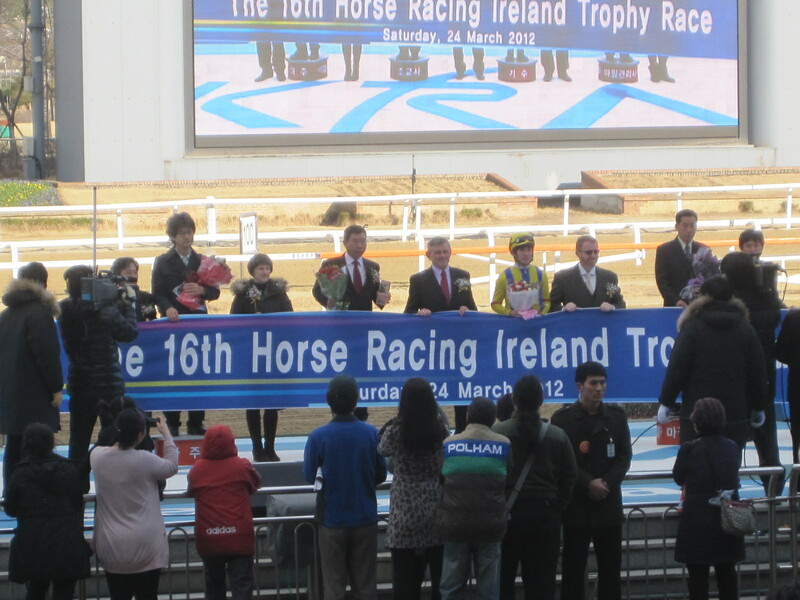 The Horse Racing Ireland (HRI) Trophy has been a fixture on the Korean racing calendar for sixteen years now and is one of the longest running exchange races. The Irish authority also sends a jockey each year to participate in the International Jockey Challenge which this year will be held in August. As ever – and unlike some other authorities who have exchange races here – officials from Horse Racing Ireland were on hand for the prize-giving ceremony. Indeed, HRI’s Mark O’Hanlon took to twitter later on to comment on the day. The KRA reciprocates by sponsoring a race in Ireland each year and it was in the Korea Racing Authority EBF Maiden at Leopardstown in August 2008 where a certain colt by the name of Sea The Stars recorded his first ever race win. It wouldn’t be his last. In Korea there is a saying: “Kkot-Saem Chu-ui”, which roughly translates as the “The cold is jealous of the flowers”. It’s used when the dying winter season returns for one last hurrah, taking out the spring flowers in the process. Dawn broke in the capital this morning with brilliant sunshine. However, the wind quickly picked up and was up to gale-force at times. Then a sudden blizzard arrived, with race 6 being run under floodlights in driving snow. Thirty minutes later, it was as if it had never happened with the sun out once again, the floodlights off and the snow melted. The wind kept up though and all in all, it was one of the most unpleasant days at the track this winter. The cold certainly had its revenge on the spring flowers that the KRA has already planted around the track. After weeks of low-key affairs, finally things start to get serious with the first weekend of really big racing of 2012. While Mister Park squares off against Dangdae Bulpae at Busan, up at Seoul we have the Horse Racing Ireland Trophy on Saturday and then the first Group race of the year in the shape of the Ttukseom Cup on Sunday. Once all that is done, there’s still time for the Sports Donga Cup. Can Kkakjaengi get back in the Seoul Stakes Winner's Circle? The HRI Trophy is for Class 2 Korean bred fillies and mares while the Sports Donga is a standard Class 1 handicap and features former champion fillies Cheonun and Dongbang Rose. At Busan, record win streak holder, Mister Park and double President’s Cup winner Dangdae Bulpae will race with six others over 2000 metres in a Class 1 handicap. We’ll focus on the big Stakes race though and this year, the Ttukseom Cup is the first leg of the “Queens’ Tour”, which aims to pit the best fillies and mares from both Seoul and Busan against one another in a series of big Stakes races. Was well beaten by Geumbi last time out and, while she will probably appreciate dropping back in distance, will need to improve if she is to reverse that form. Improving with each race although she is perhaps not quite in the same class as some of the better established runners, she has a placing chance. At one time she looked set to e a star. Has form at a higher level than most of her rivals and can’t be ruled out if at her best. Good win over the distance last month and has to be in with a chance of placing. Unexposed so far, her only defeat came at the hands of the promising colt Pure Future. She ran just two weeks ago and was impressive over a mile. Will have backers. Second in the Owners’ Cup last year and scored her first victory at Class 1 level last month – along with Kkakjaengi she’s the only runner to have a win at that level and on current form should be favourite. Has graduated up to class 1 despite only having one win to her name. She should be around at the business end of the race but it is difficult to see her getting her second win. Returns to Seoul for the first time since being an also-ran in the Grand Prix Stakes in December. The field here is nothing like as strong as it was that day but, while she cannot be discounted, others are favoured. Solid performer but difficult to see her winning this one. The only non-US bred in the race, a month ago Xicar would have been favourite here. However, she then flopped last time out in the Segy Ilbo Cup. If January’s Xicar shows up, she’ll win. Anther with Class 1 experience but it is a long time since she has tasted victory and was well beaten by Geumbi last time. While an encouraging second to Former last time out, on paper a place seems her best chance. However, when Jo Sung Gon gives up rides at Busan to come to Seoul, his mount’s chances have to be taken seriously. Second in the Segye Ilbo Cup and a real talent. This may come too early for her a the right price, may be worth a punt. The highest rated entrant in the race, she’s a double-Stakes winner. Ran second to Jumong in January and fourth to Dongbanui Gangja last month. On her day, she should have too much for this field. Creek Cat [Storm Cat-Vivano (Island Whirl)], Leading Sire in Korea in 2010 and fourth on the list in 2011, has died. 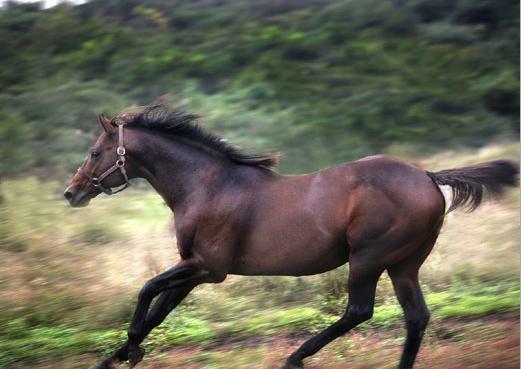 The fifteen year old stallion suffered a sudden heart-attack at Evergreen Farm on Jeju Island on March 12. Unraced but well-bred, Creek Cat was sold from Kentucky to Korea for an undisclosed fee as a three-year old in 2000. Joining the then-newly established Korean breeding program, he would go on to become an extraordinarily consistent producer of quality racehorses for the next ten years. He sired a Korean Derby winner, Cheonnyeon Daero, who in 2010, helped him to the top of the Leading Sire list for the first and to date, only time. Other notable gets include the multiple Stakes winner Yeonseung Daero and 2010 Champion filly Love Cat. Creek Cat is well represented on this year’s Triple Crown trail, with his colt Viva Cat one of the most highly rated three-year olds on the peninsula. These days, as Korean buyers can import big names such as Vicar, Menifee, Forest Camp, One Cool Cat and Officer seemingly at will, there are fewer opportunities for untested sires in Korea. However, with the KRA eager to see a successful Korean born stallion, it is possible that Creek Cat’s line may live on. 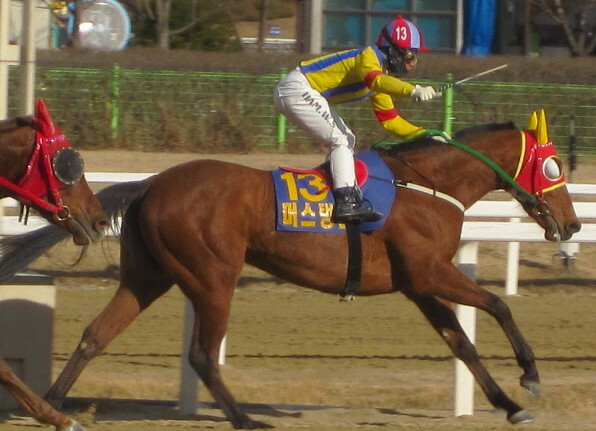 While a number of his fillies have become broodmares, Cheonnyeon Daero entered Stud this year. 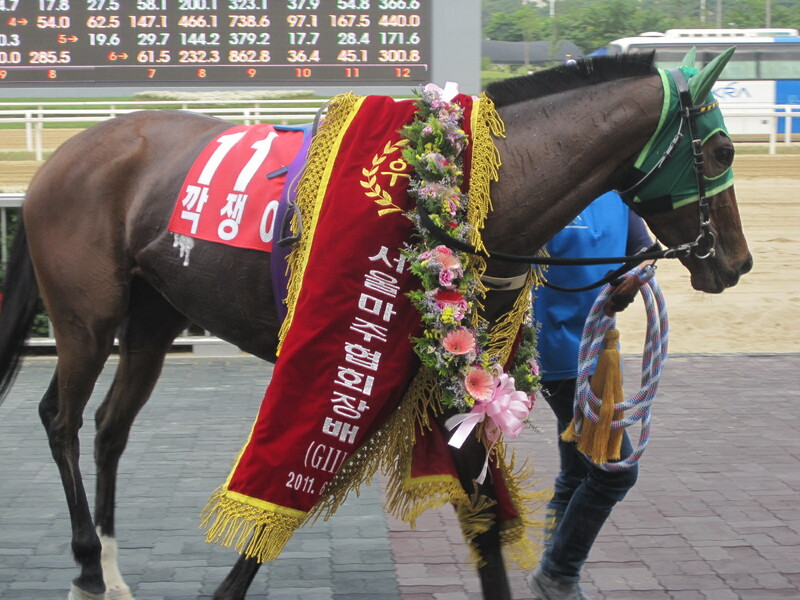 Whatever happens, Creek Cat has had a major influence on horse racing in Korea over the past decade. He will be missed. Anything Smarty Moonhak can do, Tough Win can do too. While the young upstart had romped to two easy victories already this year, the horse who beat him in the Grand Prix Stakes remained in the stables until today. Eleven rivals showed up to face him, chief among them Jumong (Johar) but Tough Win, despite carrying the maximum 63kg, was sent off long odds-on favourite. Just as in the Grand Prix last year and in contrast to his earlier starts, Cho Kyoung Ho kept Tough Win right at the back of the field. At one point, the pair were at least 20 lengths off the pace although with Jo In Kwen keeping Jumong well back too, there was little in front to concern the favourite. They improved around the home turn and then, after a couple of taps entering the home straight, Tough Win sprinted away from the field. Cho eased him down throughout the final furlong and the favourite was practically down to a trot as he crossed the line five lengths ahead of Jumong. It’s 15 wins from 19 starts for Tough Win now but other than knowing he’s in godd shape, we learned very little today. Indeed, everything he and Smarty Moonhak do in these handicaps seems little more than empty posturing leading up until the time they finally clash again. Two years ago, eveyone was anticipating Dongbanui Gangja vs Tough Win. When it arrived, it was a disappointment as the unruly double Grand Prix winner pulled an Orfevre. The anticipation for this next one, with Mister Park in the mix too, is far greater. The clash could come at Busan and, down on the south coast today there were co-feature races. Akane Yamamoto continued her recent run of form in big handicaps by winning the first on Money Tree (Medallist). 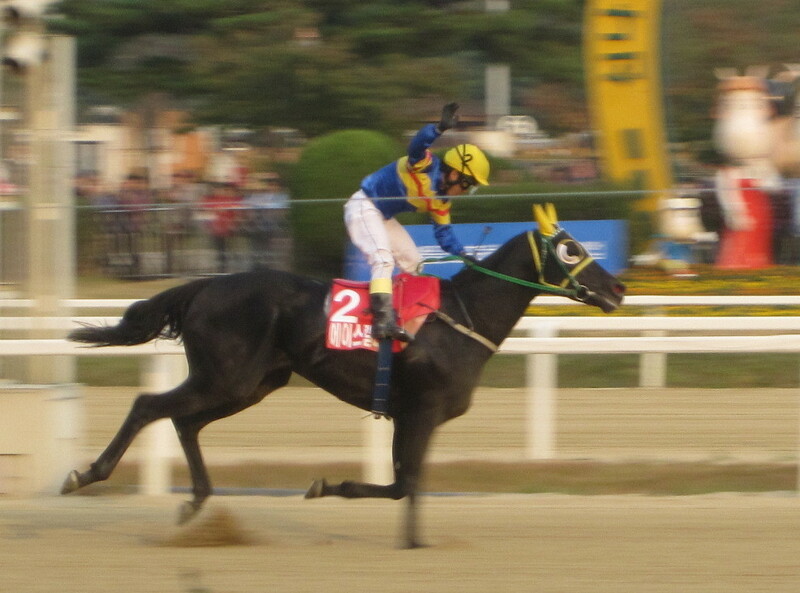 Running third in the race was 2009 Minister’s Cup winner Namdo Jeap (Ft. Stockton). 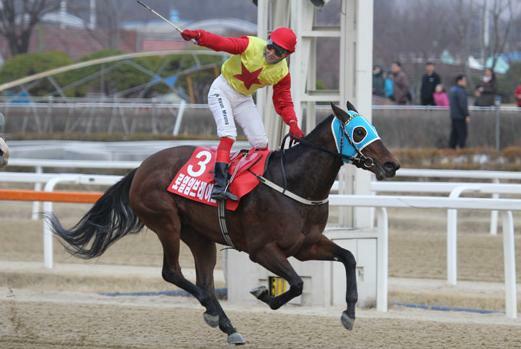 It was the former champion’s first placed finish for a year and the first on Korea for his jockey, Narazaki Kosuke. * Next week it’s Seoul vs Busan for the first time in 2012 as some of the peninsula’s best fillies and mares come to the capital for the Ttukseom Cup.